It’s no wonder why Schaumburg, a “Golden Corridor” city in the Northwest suburbs of Chicago, is consistently ranked as one the of best places to live in the United States. With excellent schools, a booming economy and beautiful homes on gorgeous streets, the city of Schaumburg represents the American dream for many of the people living there. 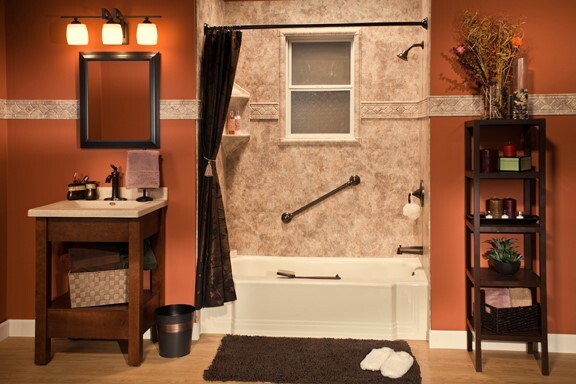 At Bath Planet of Chicagoland, we’ll customize your bathroom remodel to suit your time, budget, and lifestyle, for a beautiful new bathroom in as little as just one day. 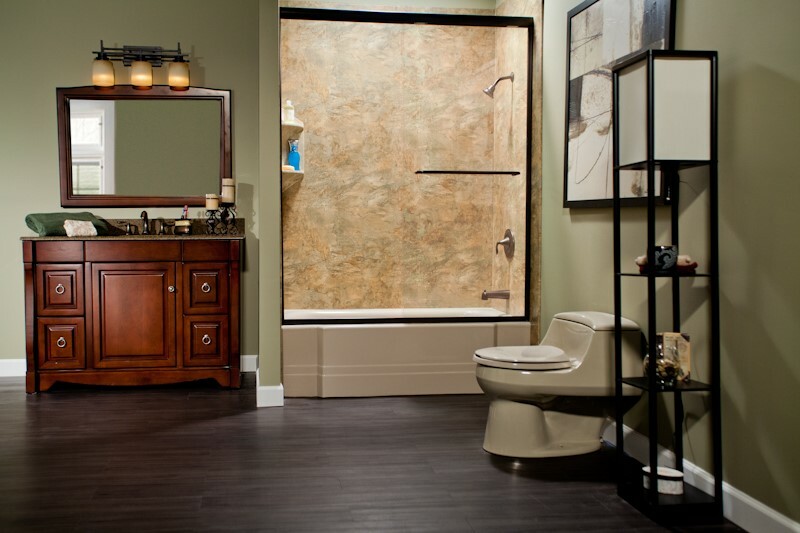 From the moment you sit down with one of our design consultants for a free, in-home consultation, we’ll work closely with you to make sure your bathroom remodeling project is exactly the way you want it. Once you’ve settled on the perfect design, our expert technicians will work around your schedule to complete the installation process as quickly and efficiently as possible. Best of all, you won’t have to worry about poor installation or expensive repairs down the road. Our high-quality products are installed by our corporate-trained and certified crew of professional technicians and backed by a lifetime limited warranty. 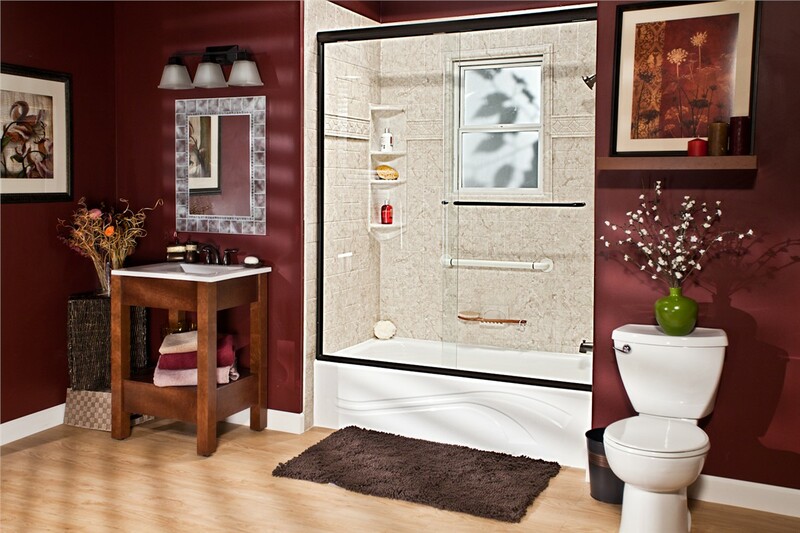 Whether you rarely use your bathtub and would prefer to swap it for a shower, or if you’re daydreaming of replacing your shower with a luxurious bathtub, Bath Planet of Chicagoland offers fast, affordable shower-to-tub and bath-to-shower conversion services exclusively for you. Choose your perfect replacement product from our long list of excellent options, from gorgeous shower models to stunning spa tubs and more. Our products come in a wide range of styles, colors, and patterns to choose from, for the look and functionality you’ve always wanted for your bathroom areas. With Bath Planet of Chicagoland, you can have the bath or shower you need to live better in record time—at a fraction of the cost of a traditional remodel. Has accessibility become an issue for members of your household? If so, you’ll love our line of quality walk-in tubs, barrier-free showers, step-in tub inserts, and safety accessories from Bath Planet of Chicagoland. Our products are popular choices for many of our customers, including those with limited mobility, senior citizens, families with young children, and anyone else seeking added safety and security in their homes. 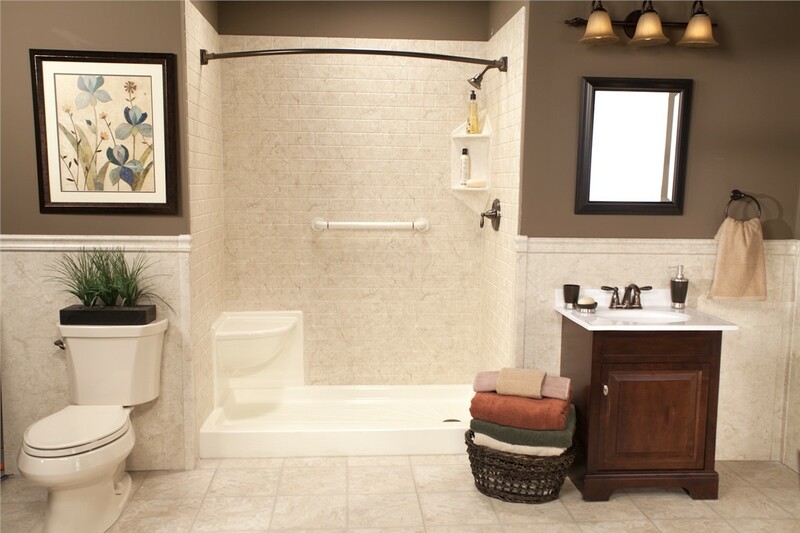 The easiest shower and tub surfaces to clean are hard, solid-surface, and non-porous. Unfortunately, older bathrooms are usually equipped with harder to clean bathroom surface materials—like porcelain, ceramic, and fiberglass tiles. This usually means a great deal of money spent on a variety of harsh cleaning products, and a daily battle against soap scum, hard water spots, mold, mildew, and grime. 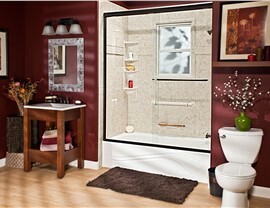 Our high-grade acrylic bath products are mold-and-mildew-resistant, easy-to-clean, and low-maintenance. With a quick rinse with hot water and vinegar and a wipe of a cloth, your bath or shower from Bath Planet of Chicagoland will sparkle and shine, even after years of daily use. 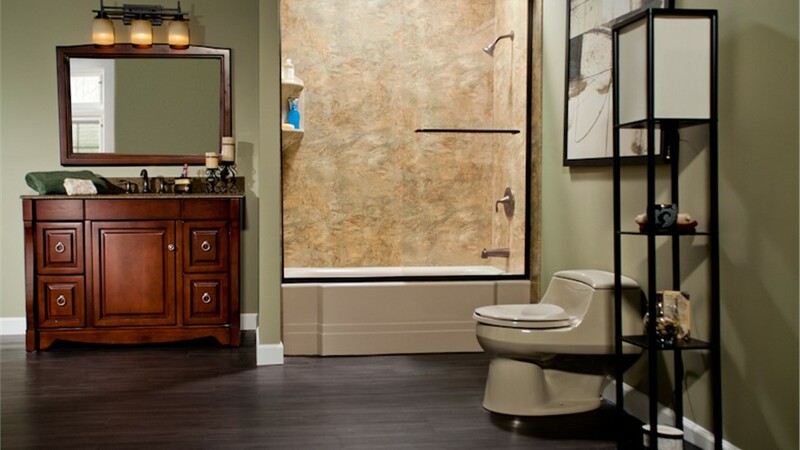 Make your Schaumburg bathroom remodeling dreams come true with Bath Planet of Chicagoland, and live an even better, more comfortable life in the Golden Corridor. Our operators are standing by to speak with you about our affordable renovation options, so give us a call now! 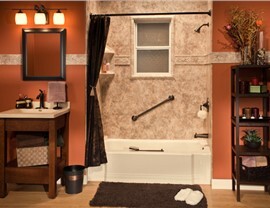 You can also fill out our online form to request a free, in-home price quote for your bathroom remodeling project. 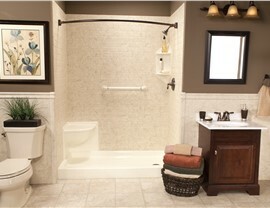 Contact us today and get started on making the bathroom of your dreams a reality.